Did you know that brand colours influence 90% of snap buying decisions? ... and that colours shout the emotional tone of your brand? Does your Colour Story support your brand? Tip: The secret to success is at the bottom of this page. 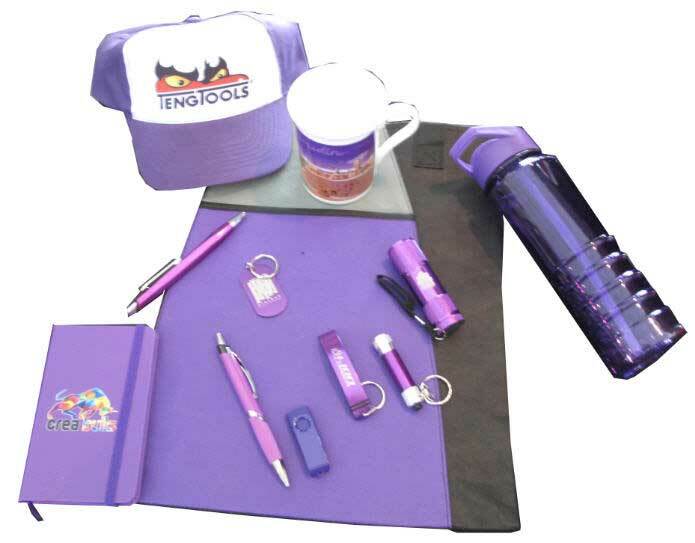 Notice how the purple colour remains consistent across the range of promotional products by this brand. Which promotional merchandise supports your colour story? The secret is to quickly find promotional products which match your brand colour. Search site content, not products.